Mrs. Velma Lassiter Prescott, age 91, a lifelong resident of Covington/Newton County, passed away on Tuesday, February 12, 2019. 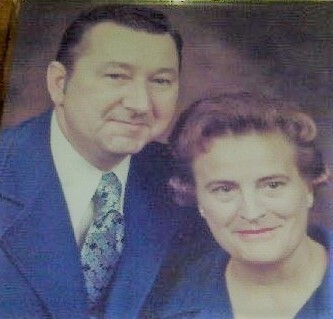 Born on August 5, 1927 to Elwood Gray Lassiter, Sr. and Georgia Salter Lassiter, Mrs. Prescott was the youngest of eight children: Gladys Lassiter Vaughn, Sarah Rebecca Lassiter, E.G. Lassiter, Jr., Georgia Frances Lassiter, James William (Bill) Lassiter, Luke Robinson Lassiter and Dorothy Lassiter Steele. Along with her parents and siblings, Mrs. Prescott was preceded in death by her husband, Johnny Sparks Prescott, and son, John Stephen Prescott. Mrs. Prescott was a member of and graduated with the Covington High Class of 1944 prior to attending the University of Georgia. A longtime member of the First Presbyterian Church of Covington, Mrs. Prescott held many offices and served in several capacities within the Presbyterian Women of the Church. An active Mother in her children’s lives, she served as Sunday School leader, Boy Scout Den Mother, Girl Scout Mother, Tennis Mother, Class Mother, etc. and in later years she became an extraordinary Bridge Player who was still an active member of 3 various Bridge Clubs. But what held her heart the most were her two great grandchildren, Kaleigh Grace and Trevin Carter Prescott. They held the keys to her heart. In addition to the great grandchildren, her survivors include daughter, Deborah Prescott Massey and husband, Gary Massey. Grandson John Christian Prescott and wife, Tela Prescott, and long-time caregiver, Ms. Phyllis Dave. Several nieces and nephews (and their spouses), great nieces and nephews (and their spouses) and great-great nieces and nephews (and their spouses). Visitation for Mrs. Prescott will be held from 6:00PM until 8:00PM, Wednesday, February 13, 2019 at J.C. Harwell and Son Funeral Home, 2157 East Street, SE, Covington, GA 30014. A private burial will be held at a later date. Flowers are welcome or contributions can be made to the Covington/Newton County Community Food Bank.